Navigating the world of Canadian Border Services Agency (CBSA) and the requirements surrounding your importations can be complex and challenging. Much like choosing to represent yourself in a lawsuit, not aligning yourself with a reputable and knowledgeable broker can result in expensive personal consequences. The following will outline the fine and penalty process, or AMPS, that the CBSA uses to assess against the improper importation of goods into the country. Ultimately, any failure to properly report to the CBSA falls to you, whether you are working on your own or with someone on your behalf. 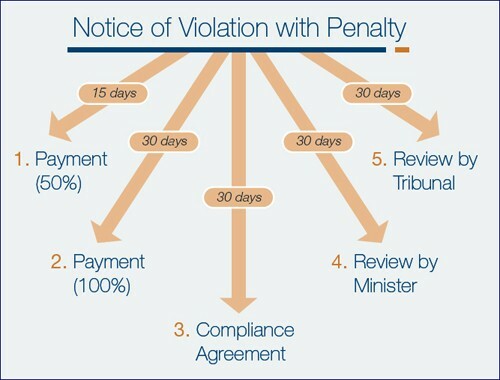 Administrative Monetary Penalty System (AMPS) are monetary penalties that are issued to commercial clients who violate CBSA’s trade legislation. The purpose of the AMPS program is to serve as a deterrent to non-compliance and to ensure all Canadian businesses can operate on a level playing field with their importation needs. What are you (or your customs broker) responsible for? What is likely to get you penalized? C071Person failed to provide permit/certificate or information before goods released. C021 Carrier failed to report regular goods ($1,600 or greater). C353 Importer failed to pay duties as a result of a required correction – Valuation. How do AMPS penalties work? I received a Notice of Penalty Assessment, What now? Navigating the next steps, requesting a review and mitigating the fallout can be extremely complex and challenging, we encourage you to reach out to our compliance team for a FREE consultation .